​As a project manager, April Hannon — based in PennDOT's northeastern District 4 — manages many types of projects, including downtown streetscapes, train station rehabilitations, rails to trails projects, safety signal upgrades, and multimodal roadway projects. During her college years, Hannon studied at Penn State and graduated with a Bachelor of Science in environmental resource management. She began her career at PennDOT in 1992 when she worked as an intern for four summers in the STAMPP and Environmental Units. She joined the department in a full-time capacity in 1996, working her way from construction inspector to traffic control specialist, and currently a management analyst. When not at work, Hannon enjoys running, reading, interior decorating, and refinishing old antique furniture. She also likes to spend her time at concerts like Dave Matthews Band and Pearl Jam. Hannon is married; has two boys, Aidan and Cole; a black pug named Zoey; and a tortoise-haired cat named Rosie. Hannon has run the Scranton Half Marathon four times while training with the Barrier Breakers at the Scranton Running Co. The half marathons she participates in help promote the preservation of the Lackawanna Heritage Valley trail network . Hannon also is an assistant cross country coach at Old Forge High School. She mentions, "It's very rewarding helping the kids work towards their goals in the sport." 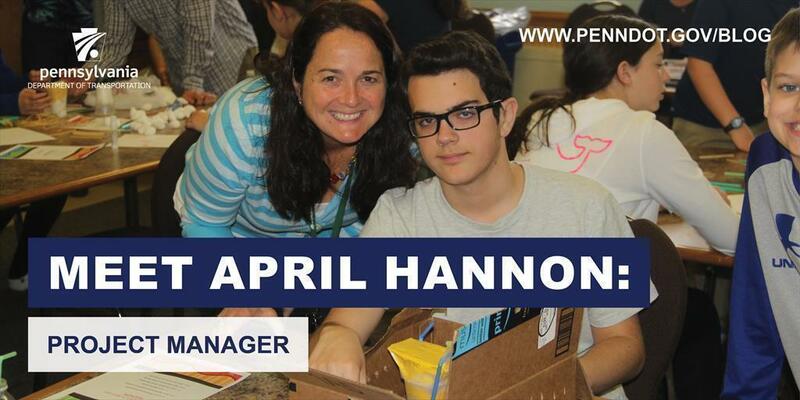 As a PennDOT employee, Hannon manages to tackle every challenge thrown at her. She demonstrates a friendly attitude with her fellow employees and proves she has a great work ethic.